Netflix officially confirmed that they had found their lead in the upcoming Sabrina series with Mad Men star Kiernan Shipka, while also confirming that the series will debut on the service before the end of the year. 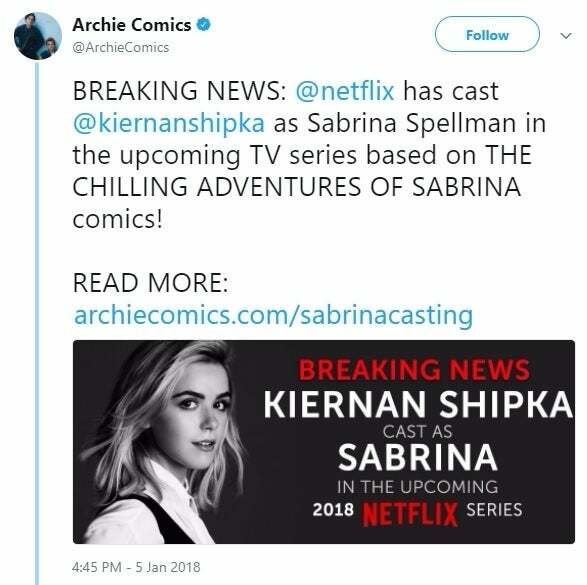 The official announcement about Shipka taking on the lead role came from Netflix, yet it was the official Archie Comics Twitter channel that included the detail that the series aims to debut in 2018. With Shipka's casting having only just been announced, it's unclear when shooting for the series will begin, but given the 20-episode order, split over two seasons, we would assume shooting would take place imminently if it were to hit the service before the end of the year. Additionally, the inherent supernatural and magical elements of the show will most likely require a fair amount of CGI elements, more in line with the post-production process of a Marvel Netflix series than a show like Riverdale. "An empowered young woman, half-human, half-witch, Sabrina is just beginning her dark education as a sorceress, even as she tries to maintain a normal life as a sophomore at Baxter High. Intelligent, compassionate and brave to the point of recklessness, Sabrina is all that stands between us and the forces of darkness that threaten our world." 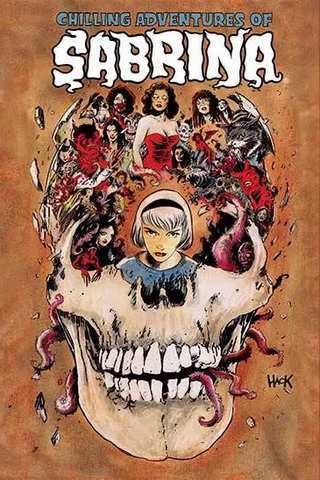 Originally conceived as a spinoff from The CW's successful Riverdale, it's unclear if there will be any connection between that series and the world of Sabrina, given their debut on different platforms. The new incarnation of the teenage witch is sure to be a far cry from the '90s TV series which starred Melissa Joan Hart. Stay tuned for more developments on Sabrina. Did Game of Thrones Fans Miss a Major Clue About the Night King?